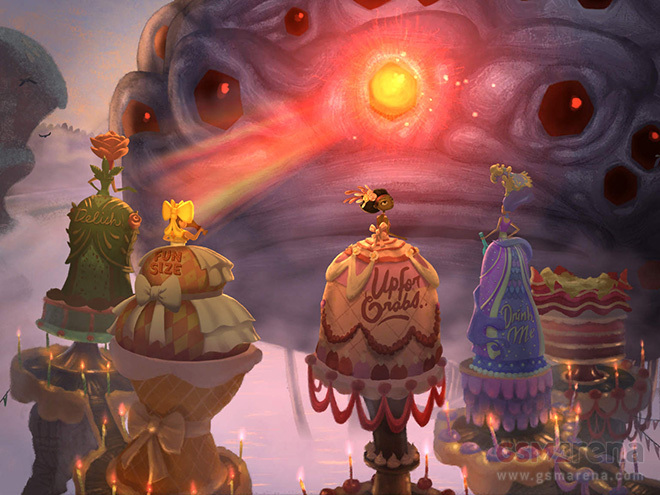 Broken Age features beautiful hand-drawn animation and an all-star cast, including Elijah Wood, Jack Black and Wil Wheaton. It’s a two part game, with the second one arriving later. Today we are taking a look at Act 1 of the game. 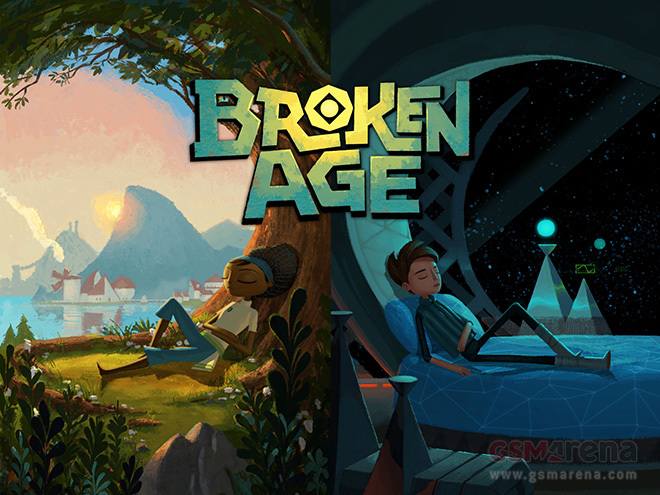 Broken Age tells two stories, one of a boy and another of a girl, in two seemingly separate worlds. The girl — Vella — lives in a small town where the locals have a tradition of offering young girls as a sacrifice to a sea monster to appease him, who’d otherwise destroy the town. It is considered a great honor to be chosen for the sacrifice and Vella’s family couldn’t be more proud of her when she is chosen, although Vella herself has other thoughts, primarily concerning her escape and eventually killing the sea monster. 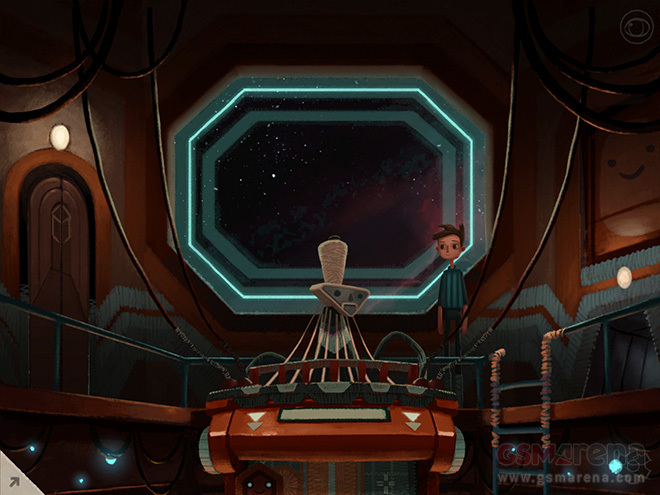 The other story is of a boy named Shay (voiced by Elijah Wood), who lives on a spaceship governed by an overprotective computer who behaves like she’s his mother. He is kept away from harm and for his amusement he is made to take part in fake rescue scenarios on the ship, all of which he thoroughly dislikes. Him being protected is part of some greater plan that is kept a secret from the player. When the game starts, you can choose to begin playing as either character. At any point in the game, you can switch over to the other character and begin playing from where you left off. You could play one character at a time and then switch over to the other when one story is finished or do what I did and keep switching every once in a while and keep them going roughly at the same speed. Vella’s story, however, is a bit longer than Shay’s. Now, coming to the actual gameplay, you tap on the screen to move the character around or to focus on items or people in frame. You can engage in dialogue with them and you are presented with a range of questions at the bottom that you could ask them, which expand further based on what they answer. 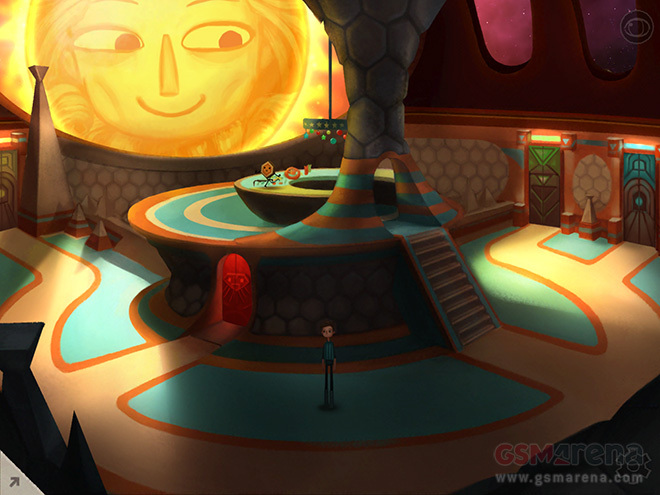 The game essentially makes you solve a lot of, sometimes elaborate puzzles. You collect items, which you then take elsewhere and use, to obtain or accomplish something else, which in turn leads to some other thing, This is how you complete your goals and in turn the level, after which you move forward. Most of the puzzles in the game are fairly straightforward but there are some later on in Vella’s story that are absurdly complex and require careful consideration of the items you have and the ones around you, and what the people around you are saying. That and some sheer dumb luck that will make you figure it out on your own without any help. 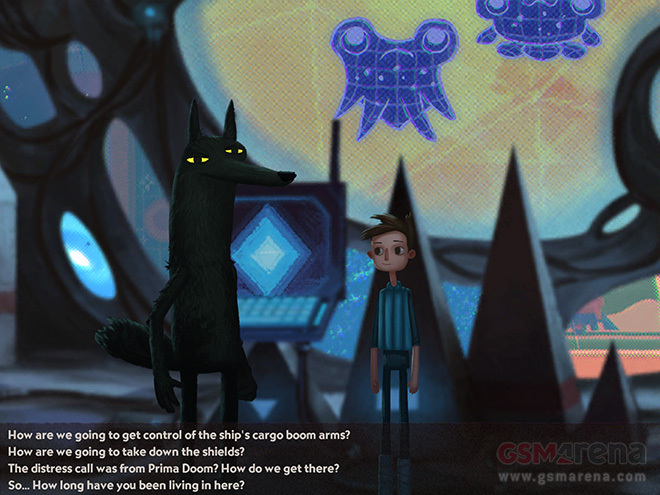 The point-and-click gameplay style works very well on a touchscreen. There is a special button on the iPad version that highlights all the clickable items on screen. You can tap on a place to move your character there or tap on an object or a person to interact with them. Unfortunately, the same cannot be said about the text options that pop up at the bottom of the screen I had a really hard time clicking on them. It’s really easy to click on the option above or below the one you want to select or just exit the menu altogether by tapping slightly outside of it while hitting the top menu. It’s not your fault for tapping incorrectly but that the game has a hard time keeping track of your taps in the text menu, even though it works very well elsewhere in the game. And this was on a 10-inch iPad Air. I don’t even want to imagine how bad it would be on the iPad mini. As mentioned before, this is a two part game, with Act 1 available now and Act 2 will be available later as an IAP. The story of Act 1 ends on a massive cliffhanger, so you are bound to come back later for Act 2 when it releases later this year. 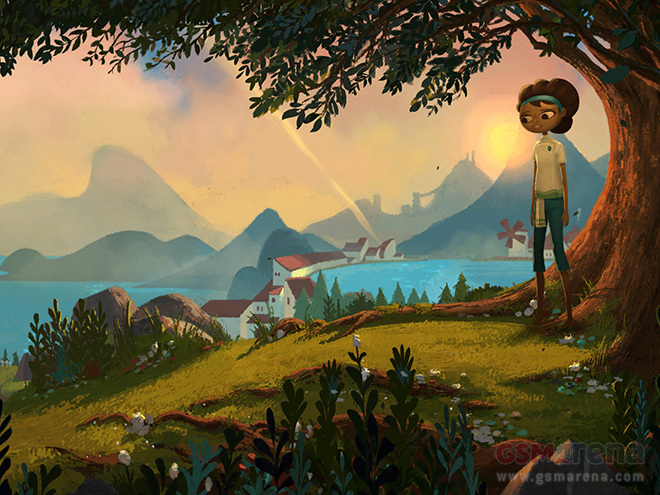 Broken Age looks absolutely stunning on the iPad, with gorgeous hand-drawn animation. There are a few occasions where certain objects are shockingly low resolution but those minor incidents aside everything else in the game looks terrific. The sound is great as well. Regardless of whether they are voiced by movie stars or lesser known voice actors, the voice acting in the game is fantastic across the board, bolstered by some really good dialogue, with a consistent tongue-in-cheek humor. The music in the game is fabulous as well. 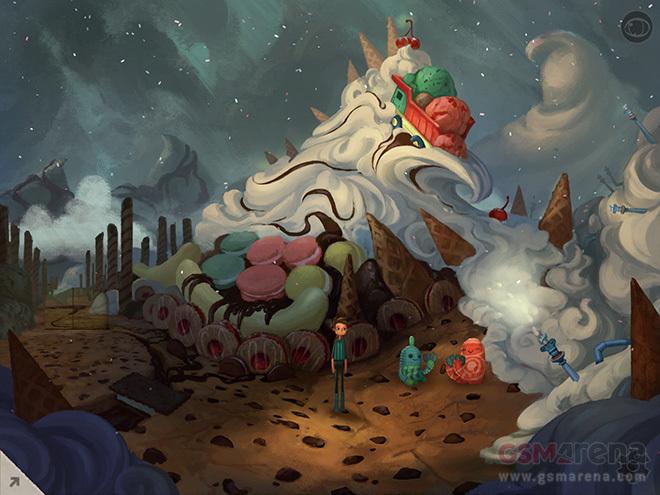 Broken Age is a remarkable game. From its engrossing puzzles to the intriguing story, charming dialogue and stunning visuals, the game delivers on nearly every aspect. 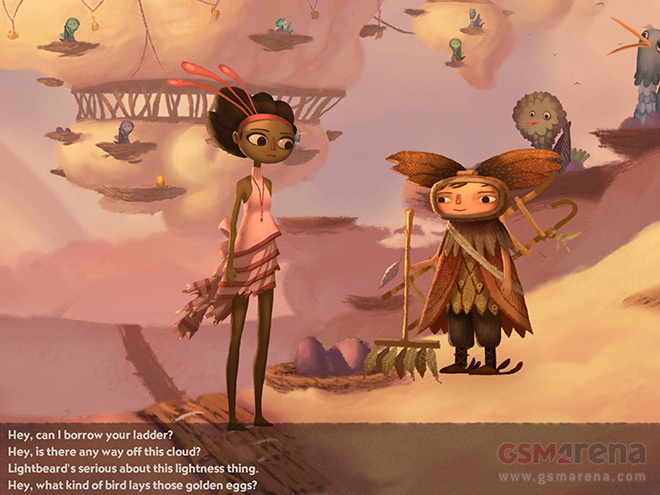 Minor quibbles with the touch menus aside, Broken Age is a wonderful game and I can’t wait for the concluding second part to find out what happens next.